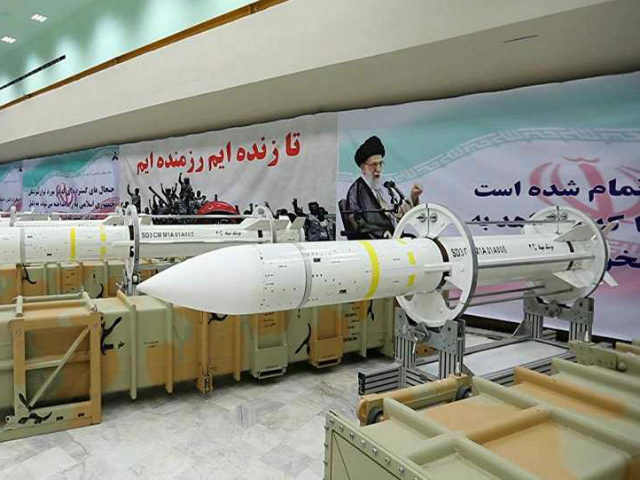 The Times of Israel reports: Iran is planning to retaliate for recent deadly airstrikes in Syria attributed to the Jewish state by having its proxies fire missiles at military targets in northern Israel sometime in the near future, defense officials warned on Sunday. Tehran vowed revenge after the T-4 army base in Syria was struck in an air raid on April 9, killing at least seven members of the Iranian Revolutionary Guard Corps. The strike was widely attributed to Israel, though Jerusalem refused to comment on it. (T-4 was the base from which Israel said Iran launched an attack drone into Israel in February.) Late last month, a second strike, allegedly conducted by Israel, against an Iranian-controlled base in northern Syria was said to have killed more than two dozen Iranian soldiers. On Sunday, all of Israel’s nightly news broadcasts reported that the Israeli military and intelligence services had identified preliminary efforts by Iran in Syria to carry out its reprisal, using its IRGC (Islamic Revolutionary Guard Corps), the Hezbollah terrorist group and local Shiite militias to launch a barrage of precision-guided missiles, likely at Israeli military targets in the north.